« Justin Trudeau-another useful idiot dhimmi or a closet Muslim jihadist? 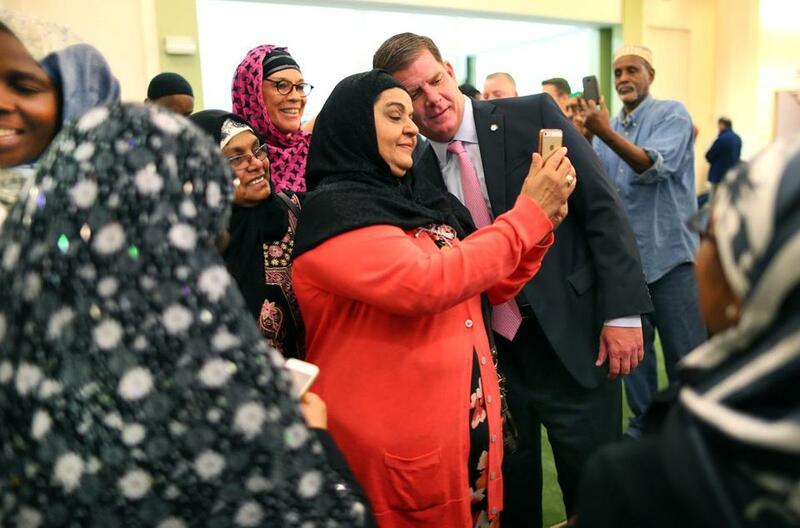 It was a coincidence that Mayor Martin J. Walsh picked Friday to fulfill a promise to attend a prayer service at New England’s largest mosque, but the symbolism of the timing was not lost on the mayor or the thousand worshipers seated elbow-to-elbow on the carpeting. With coordinated anti-Islam rallies planned elsewhere this weekend <anything anti-Islam is for good reasons>, Walsh joined leaders of the Islamic Society of Boston Cultural Center in distancing Boston from the so-called Global Rally for Humanity. 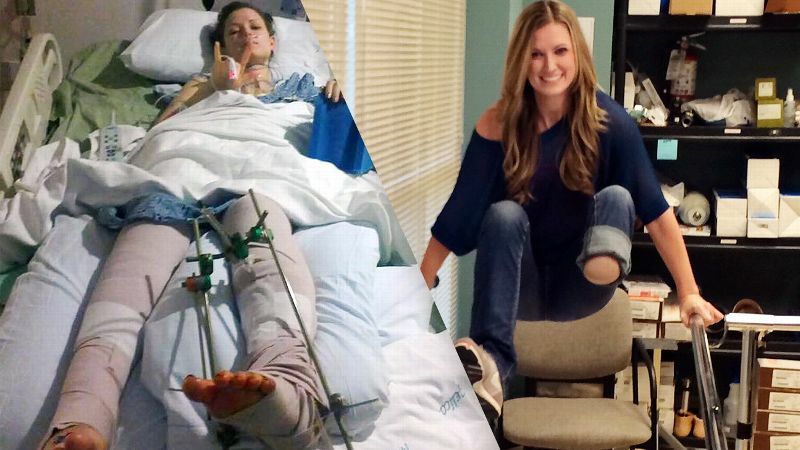 “We in Boston stand together,” <too bad Jeff Bauman, Rebekah Gregory, Heather Abbott, Adrianne Haslet-Davis, Celeste Corcoran, Erika Brannock, Marc Fucarile, Paul Norden, J.P. Norden, and many other amputees victimized by the Muslim terrorists in the Boston Bombings can’t, even literally, not with the enemy nor the traitor>said Walsh, clad in a suit, tie, and navy-and-turquoise dress socks, his cap-toe dress shoes respectfully stashed in the corner. 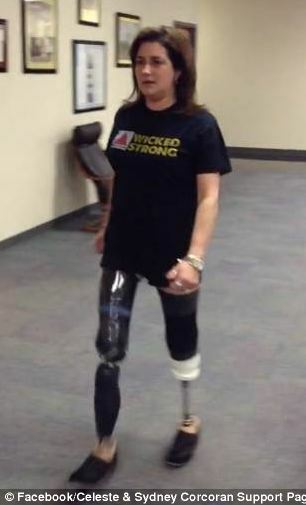 Americans victimized by Muslim terrorists in the Boston Bombings. Walsh selfied with another one of those seemingly ubiquitous Muzzy cows! Walsh said it was his first Islamic prayer service but that it reminded him of the Catholic Mass he attended regularly with his mother as a child, and he spoke of the importance of interfaith understanding. “Boston is really a city that’s been built on diversity<probably not for long, as only Muzzies are left there and most non-Muslims would leave if Libtards continue the trend>,” he said. Abdulai Wanu, a 26-year-old security guard with dreams of becoming a pilot <to land or not to land? That the question, alright! Just don’t miss the White House this time now that Hussein Obama lives there>, stood in front of the pack, raising his phone to capture not just the mayor and himself but the entire fulsome scene. Eventually, Walsh reached the wall of shoes, then banked toward the door. As the mayor’s retinue tried to usher him to his SUV, he paused for one more selfie <yep, can’t forget the PR fluffs and media stunts, important parts of whoring for Muzzy votes> with curly haired Rayan Haoud, a 7-year-old student at the center’s Islamic elementary school, and then another with Rayan’s mother, Laila Alaoui. Martin J. Walsh, along with 17 other treasonous and corrupted mayors, just petitioned Hussein Obama to flood U.S. cities with more Muzzy savages disguised as immigrants.